It’s that time of the year when authors emerge from their winter caves, blink heavily at all this bright light, and then stumble down to their local bookstore. In the last few days, we’ve had a non-stop cavalcade of authors coming through and putting their ink-stained fingers all over their books. Anyway, Karen Harbaugh was here. Dave Bara was here. Patrick Swenson was here. Brandy L. Rivers dropped by—twice, in fact. 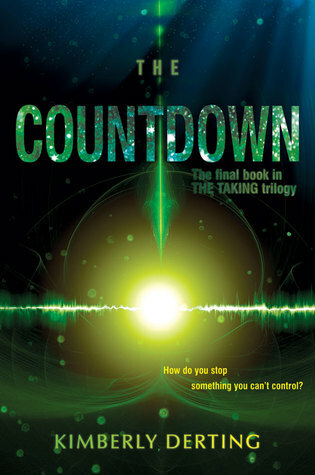 Kimberly Derting came by the other morning to sign copies of The Countdown, her new book (and the last one in The Taking Trilogy). That’s pretty cool for lil ole Sumner, WA. You know what’s also cool for Sumner? Our coloring event. We’re having one tonight, in fact. It’s number five in our on-going Things To Do At A Bookstore That Are More Than Just Reading series. (Is that a Thing? It’s totally a Thing. We’re making it a Thing!) And, at the beginning of June, we’ll be gathering here again for Campfire Bookclub, where we’ll be roasting marshmallows and toasting the end of society as we know it, er, discussing J. G. Ballard’s High-Rise. But enough of things that aren’t about reading, let’s get to the books. In fact, we haven’t let the books speak for themselves for awhile, and so here is another round of Book Speed Dating. 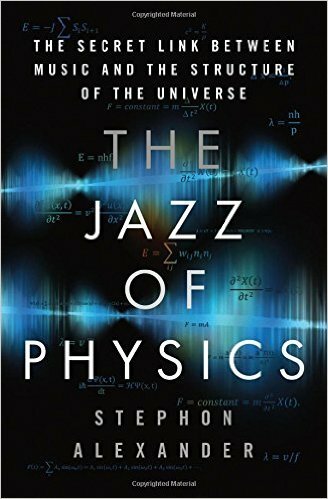 The Jazz of Physics is the sort of book that feels like it’s going to be one of those dates that go on forever, but five minutes in, it says something remarkable, and you suddenly have no plans for the rest of the evening because there is more where that came from. Sometimes you think you’re speaking the same language as your date, and other times, you realize that isn’t entirely true, but you totally understand what they’re saying anyway. Until you start to think about it, and that’s when your brain starts to melt. In a good way. Like a rich desert. 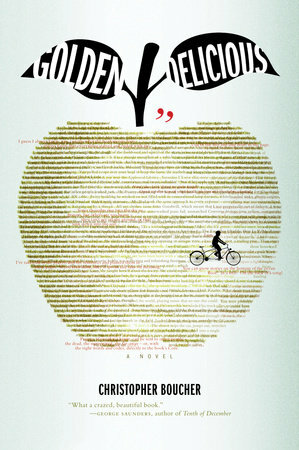 That's what Golden Delicious is like. 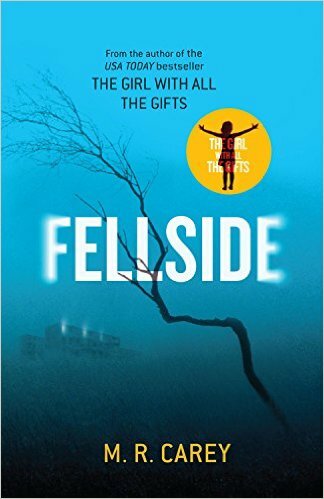 Fellside, the sequel to last year’s The Girl With All the Gifts, shows up promptly, dangles a hook in front of you, grabs your hand, and whisks you away for a night of fun and adventure. What’s not to like about that? We can kind of be done right there, right? What’s not to love about fire and meat. But okay, okay, let’s not be too hasty. 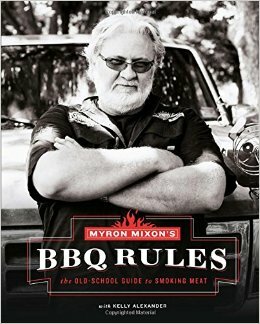 Okay, okay, so Myron Mixon thinks he know what he's talking about, and sometimes that can totally be off-putting, but fire and meat? Yeah, I think we’ll nod along, and wait for the BBQ to come out. Because, yes, ordering and eating BBQ is just like picking out and reading a book. Except with more napkins. Colby: So, I’m thinking about getting a mow-lock. Colby: Is that the right word? One of those haircut thingers. Alice: “Thinger”? You’ve been talking to Bob a lot recently, haven’t you? Colby: Well, he comes by quite often. (whispers) I think he’s a bit lonely. Alice: I can’t imagine why. Colby: Oh, uh, is there something going on between you two? Colby: Oh, I see. Um. We have copies of this picture book here. Hot Dudes Reading. Maybe . . . ? Alice: I don’t want to talk about it. Alice: You don’t really have enough hair for a mohawk, unless you’re going to do an inverse mohawk. Alice: That’s where I take a trimmer and run a strip across your head and down your back. Colby: All the way down? Alice: That’s the way they do it for the really hairy guys. All the way down. Colby: It might get chilly . . . down there. In the back. Alice: It might. I don’t think it’s a good idea. Colby: Bob is kind of hairy. Alice: And if he were here right now, I’d be happy to give him an inverse mohawk, all the way down. Colby: Probably good that he isn’t then. Colby: Do you want to . . . talk? Alice: No. And if you try again, I will go get the electric clippers I have in the truck. Colby: Why do you have electric clippers in your truck? Alice: Aren’t some questions better left unanswered? Colby: Oh, yes. That is true. Quite true. Alice: You should get some gel and make a pompadour instead. It’s this style where you puff up the hair on front. Make it look like a wave. Colby: That sounds like fun! Alice: Why all this interest in human hairstyles, marmot? Colby: Fashion Week is coming up. All this talk of clothes and styles and fashion. I was feeling a little left out. Alice: Well, a new haircut always makes a difference in first impressions. That’s what my father used to tell me. Colby: You father was a pirate. Alice: And he understood the importance of looking good when you were boarding a container ship. You never knew when you might show up on CNN via some security footage. Colby: I would probably look like a wet rat. Alice: That is the downside of being at sea. It’s hard to keep your hair from going flat. Colby: That’s why I’m a land-based rodent. That, and the motion sickness. And the diet of fish.